A few Nigerian newspapers reported erroneously this week that the U.S. Institute of Peace has made a prediction about the possible outcome of Nigeria's 2019 presidential election. USIP never makes predictions about election outcomes and has not done so in this case. The Institute's work on elections is confined to helping nations avoid electoral violence. 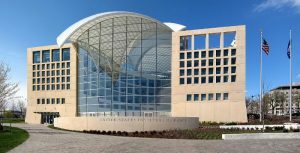 The erroneous news accounts misrepresent USIP's recent 20-page report on the risks to a peaceful 2019 election in Nigeria . This study is based on interviews across the country with more than 200 Nigerian respondents—election administrators, political party representatives, security officials, civil society and youth groups, the media, traditional and religious leaders, prominent community figures, business people, academics and others.The USIP report noted that, in the interviews, “some respondents” discussed their own views of Nigerian public perceptions about an election outcome. A Nigerian news account mis-reported this passage as a USIP prediction of the outcome, and other Nigerian news organizations repeated the error.